Nashville’s ambitious new bus line seemed to have a green light — until the GOP-led Legislature, with help from the Koch brothers, stepped in. 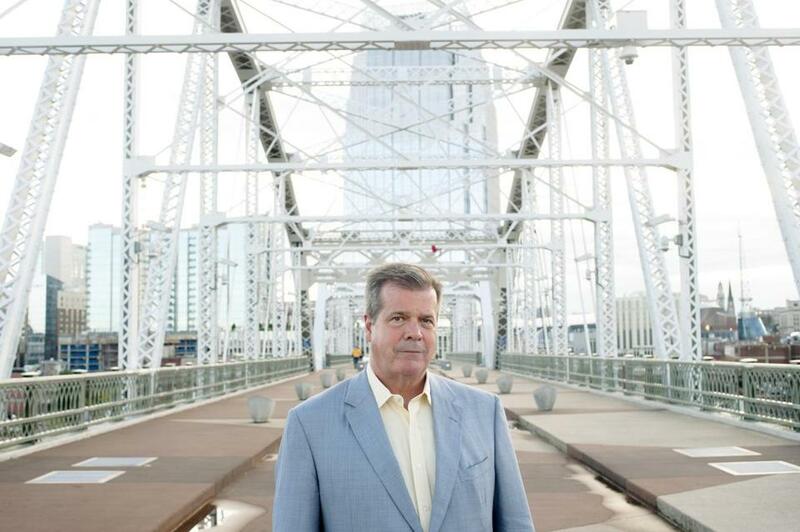 NASHVILLE — Karl Dean, a Democrat in his second term as this city’s mayor, had a few minutes to tell President Obama about his dream: building a “trackless trolley” line that would connect Nashville’s gentrifying east side with its ritzy west. He had spent years submitting applications for a $75 million grant, and he made sure the president knew about it. The way democracy is practiced is being redefined. To some, it is a breakthrough for free speech; to others, a threat to fair elections. 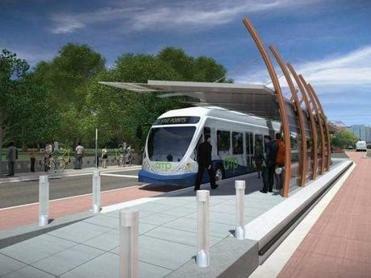 A rendering of a trolley for the proposed Amp transit system in Nashville. Under recent Supreme Court rulings, the group is defined as a nonprofit social welfare organization that is allowed to advocate on legislative issues. It doesn’t have to identify who gives it cash, how much it has received, or how it spends the undocumented funds — known in politics as “dark money.” That is different from money given to candidates and political action committees, which generally is subject to disclosure. Karl Dean, nicknamed by one headline writer as “Yankee Doodle Dean,” grew up in the furniture-making city of Gardner, Mass., went to Columbia University in New York — where, he said, he became enamored of public transit — and headed south for law school at Nashville’s Vanderbilt University. He married a classmate, served as the city’s public defender and legal counsel, and was elected mayor in 2007 to the first of two four-year terms. He kept a made-in-Gardner chair in his office to remind him of his roots, and says he often thought about the need to bring at least a semblance of his home state’s public transportation ethos to Tennessee. 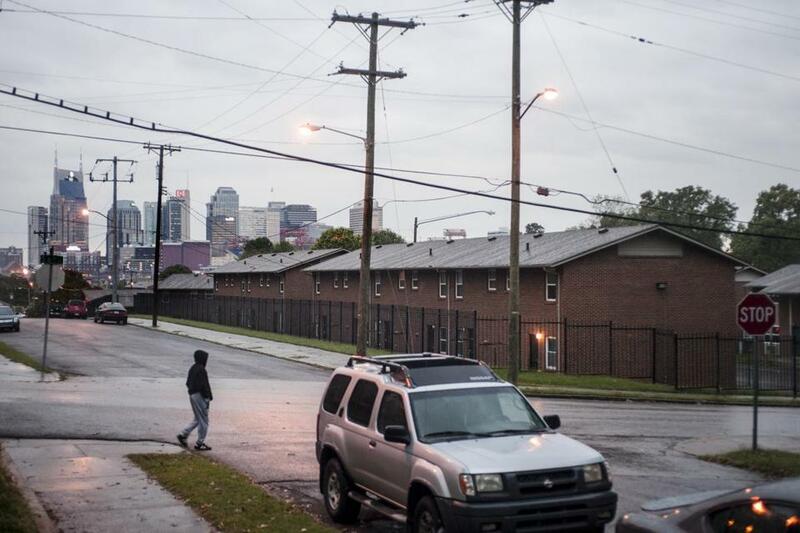 The downtown’s skyline can be seen from a housing complex in East Nashville. honky-tonks with their cacophony of country bands, near the historic Ryman Auditorium, and alongside the arena where the Country Music Awards are held. It would pass Lee Beaman’s auto dealerships and continue on West End Avenue past Vanderbilt before ending near a hospital complex. Nashville’s need for mass transit seemed clear. One of the nation’s fastest-growing metropolitan areas, its population of 1.6 million is expected to add another million people in the next two decades. The Amp was portrayed as a model that would be replicated across the state. Planners dreamed of a back-to-the-future day when express buses would be as prevalent as streetcars once were. After several years of hearings, it seemed like a done deal in early 2014, with supporters including the Nashville Area Chamber of Commerce, Vanderbilt University, and major hospitals. West End resident Edie Wenczl cites concerns over traffic and an influx of “riff-raff” in her opposition to the project. “Is it my job to use tax money contributed by everybody to help a certain segment out, to say, you don’t want a car and responsibility of owning a car, or car insurance, is it my job to make transportation easier for you?” Williams said. He became chairman of a group he called “Stop Amp,” but said he figured the project was a done deal. Rick Williams was the leading opponent of the Amp in Nashville. One day as he was pumping gas into one of his vehicles, Williams ran into Lee Beaman, the namesake owner of the auto dealership along the Amp route, and asked whether he had heard about the project. Beaman had not, but said he believed it was a terrible idea that would worsen traffic, make it more difficult for customers to get to his dealership, and attract few new bus riders. Beaman also believed there was no chance to kill the project at City Hall, given Dean’s support. But stopping it at the state level seemed doable. That is where the Koch-supported group came in. A few years earlier, Beaman had received an invitation from Charles and David Koch to attend one of their exclusive conferences. He went to a gathering in Palm Springs, Calif., and met the brothers. “My wife and I went and were extremely impressed,” Beaman said. He started donating to the national Americans for Prosperity organization, and then to the state chapter. (He declined to say in an interview how much he contributes.) Eventually, he worked with Ogles on a successful effort to kill the estate tax in Tennessee. So when Beaman heard about the Amp, he said, he again turned to the Koch group. Suddenly, what seemed like the mayor’s done deal was in trouble. Andrew Ogles holds no elective office. 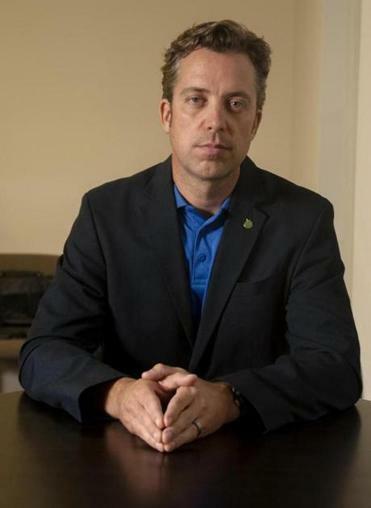 Yet he has, in the past 2½ years, become one of the state’s most powerful players through his role at the helm of the Americans for Prosperity chapter. A Tennessee native, he worked on former House speaker Newt Gingrich’s presidential campaign, and watched how a series of ads paid for by Mitt Romney’s “super political action committee” helped destroy his candidate. Since taking over the Koch group in Tennessee, he played a major role in killing an effort by the Republican governor, Bill Haslam, to accept Medicaid money from President Obama’s health care plan. A Medicaid expansion could have provided health insurance to 179,000 Tennesseans, with a 2016 contribution of up to $1.7 billion in federal money, according to a White House report released in June. Haslam declined an interview request. Ogles has been given broad latitude by the Koch brothers. When Beaman talked to him about how to stop the Amp, Ogles suggested a strategy that the Koch group is using across the country that relies on targeting hyperlocal issues that once would have attracted little national notice. Other state chapters, for example, have helped defeat a gas tax increase in South Carolina, and backed a conservative school board in Colorado. Tennessee, like many Southern states, has gone through a political transformation in the last two decades, with Democrats losing control of the State House. Today, as in most states, Tennessee’s Legislature and governorship are in Republican hands; 68 out of 98 state legislative chambers are controlled by Republicans, the highest proportion in history, according to the Republican State Leadership Committee. Republicans lead in governorships by 31 to 18, with one Independent. By contrast, Nashville, like most of the nation’s largest cities, is led by a Democratic mayor, although the post here is technically nonpartisan. 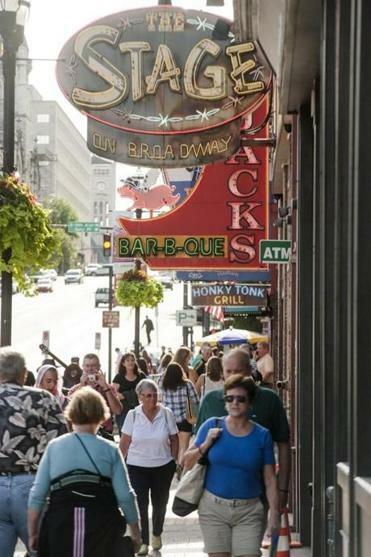 With live country blasting through every bar door and window, Broadway in downtown Nashville is the top attraction for tourists. The split has set up a growing dynamic in which big-city mayors often clash with state legislators, many of them representing conservative rural areas, in their effort to win dollars from Washington for urban projects. In the view of Americans for Prosperity, the lure of federal dollars is too enticing even for many Republicans. Ogles helped kill the governor’s plan for Medicaid expansion by raising doubts about whether the federal government’s contribution would be shut off in the future, leaving the state responsible. Similarly, Ogles questioned the value of taking $75 million for the Amp, even if those dollars would simply be given to a transit project in some other state. He worked with Tracy on a bill that gave the Legislature authority over transit projects that would operate on state roads — a definition that included the Amp. Given that it was widely known the Amp was the target of the bill, the project would be considered dead if the legislation passed. 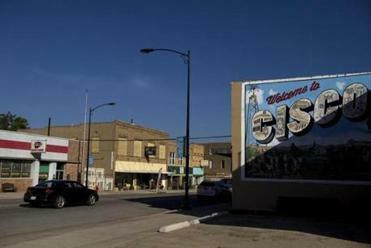 “I sat down with Senator Jim Tracy and came up with this idea,” Ogles said. Tracy confirmed in a separate interview that he worked with Ogles to write the bill. The city-state fight was on. A week after the White House announced that money for the Amp was in the budget, on March 12, 2014, Tracy held a hearing designed to stop the project. State Senator Thelma Harper, a Democrat whose district includes East Nashville, was appalled, and accused Tracy and other legislators of interfering in city affairs. 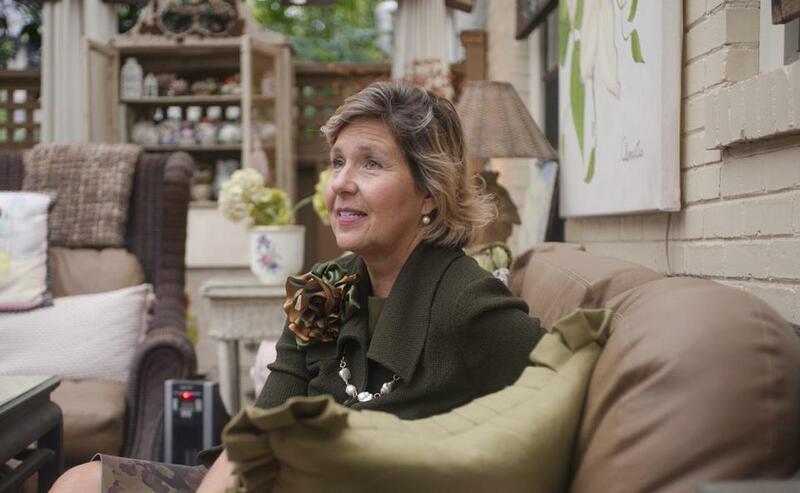 “There is concern that it looks like the Legislature is meddling with Nashville. We wouldn’t do the same thing in Murfreesboro,” she said during the hearing, referring to Tracy’s hometown. The bill nonetheless was approved by the Senate as well as the House, where it was pushed by Speaker Beth Harwell, who represents portions of Nashville’s West End. Harwell did not return calls seeking comment. Mayor Dean was stunned. His aides were left to inform the White House that the city couldn’t take the federal money. Jeff Yarbro, who had served for five years on the board of Nashville’s Metropolitan Transit Authority, including a term as chairman, said legislators who bemoan a heavy federal hand in their work were being hypocritical by interfering in city affairs. To be sure, those on all sides said they learned lessons, and some even say they hope a version of the Amp might be revived on a more palatable route. But it seems unlikely that such an agreement will be coming anytime soon. A federal transportation official said any new proposal from Nashville would require city to go to the back of the funding line. Dean’s role is done. His last full day in office was Sept. 24, and he soon will be heading back to Massachusetts, where he will serve during the spring semester as “mayor in residence” for the Initiative on Cities program at Boston University. His battle over the Amp is bound to be a topic of discussion. Ogles, the Americans for Prosperity leader, is waging a new battle, fighting a proposal to raise Tennessee’s gas tax, which some here hope will pay for much-needed road improvements, but which might now be blocked by some of the same people who killed the Amp. As for Tracy, the state senator who vanquished the city’s mass transit dream, when he finished an interview he set off on a 55-mile commute to his Murfreesboro home. It takes 70 minutes on a good day but if he hit rush hour, it would take two hours. 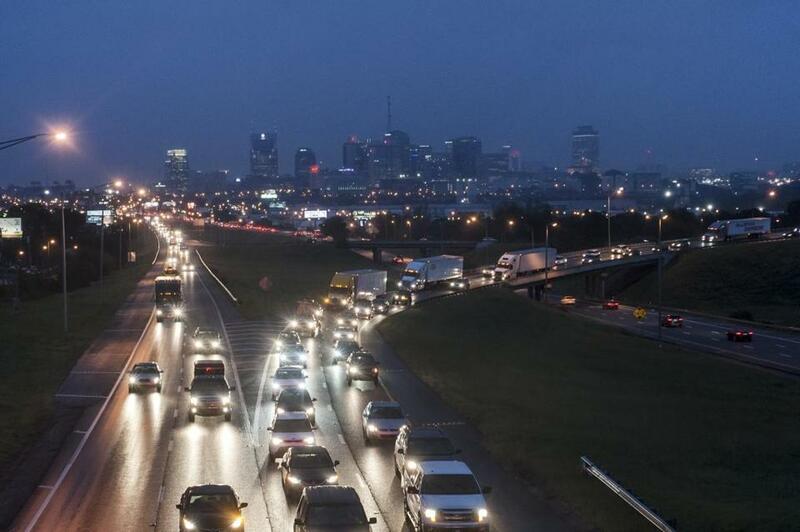 Nashville has the population size of Boston with some of the worst traffic congestion in the nation.